Viva ceased broadcasting on all platforms at 0600 on Wednesday 31 January 2018. Ahead of the closure, the channel was removed from Freesat 511 on 30 January. On 31 January, the Viva channel on Sky was replaced by pop-up channel MTV Love, a service encrypted as part of the suite of MTV-branded music channels. On Virgin Media cable, a slate was added to the old Viva position, advising viewers to switch to 4Music (the other music channel available at the same package level) with MTV Love added as a new channel on 318. 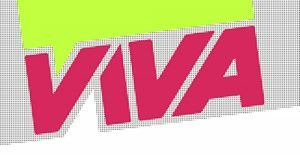 On Freeview 57, a slate informed viewers that Viva was no longer available on the platform, directing viewers to Viva’s website; the Viva website had however been shut, and the URL redirected to the charts page on the MTV website. The final music video that was shown on Viva was Spice Girls’ “Viva Forever”.